Head stock style machine -in action! 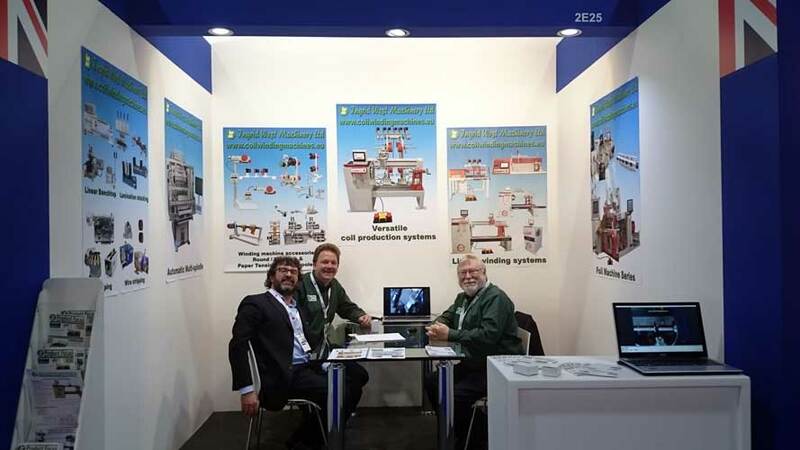 We don't often get to show you machines in action due to customer confidentiality, but this customer was so pleased with the tailored solution we designed and constructed for him, we managed to get some pictures. With a massive 15,000 Nm of torque the main winding spindle has plenty of power for the most demanding of winding applications. 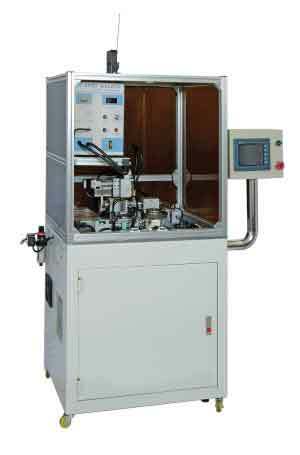 New generation compact Foil winding machine. 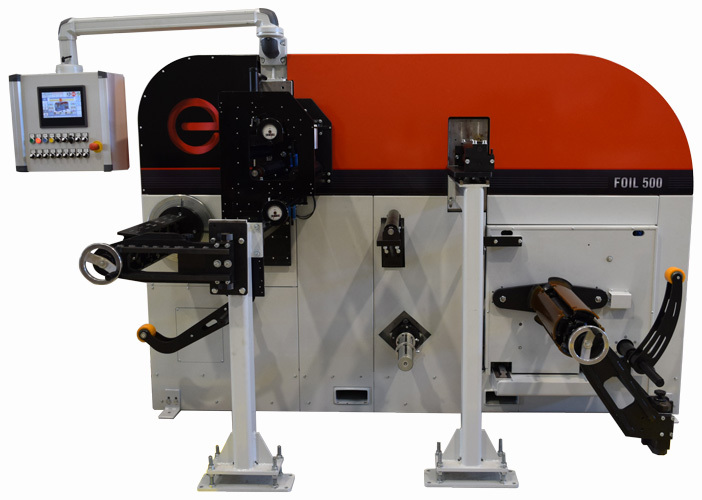 A Powerful but compact 500mm wide foil winding machine, .3 independent traverse system with edge detectors & closed loop feedback provide perfect foil and paper alignment. Servo driven payoff and systems work in conjunction with the main winding head to give very precise programmable controlled torque / tension in the foil / paper, Ideal transformer applications, providing industry leading coil quality and transformer characteristics. 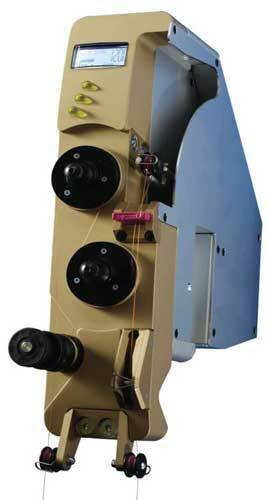 Range Heavy duty spool tensioners -using start of the art Servo driven technology in "Torque following" mode. Allows for digital program setting of tension for large profile wires- wind forward and backwards! 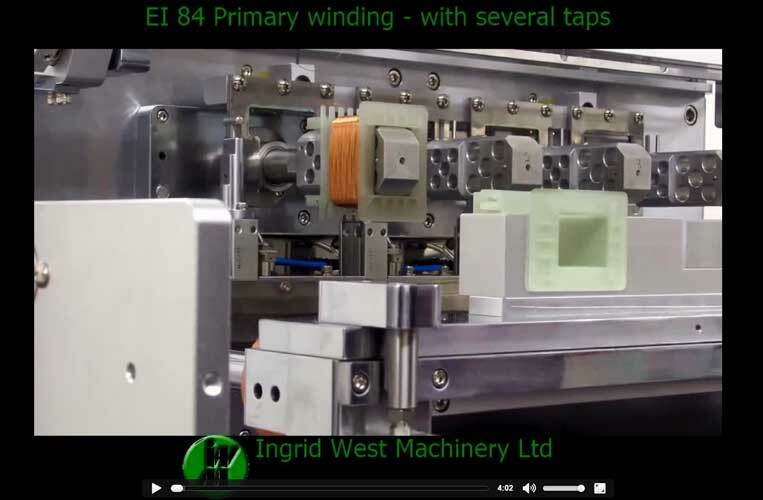 Options for carriage way to follow winding machine guider -reduces factory floor space & keep tension constant. 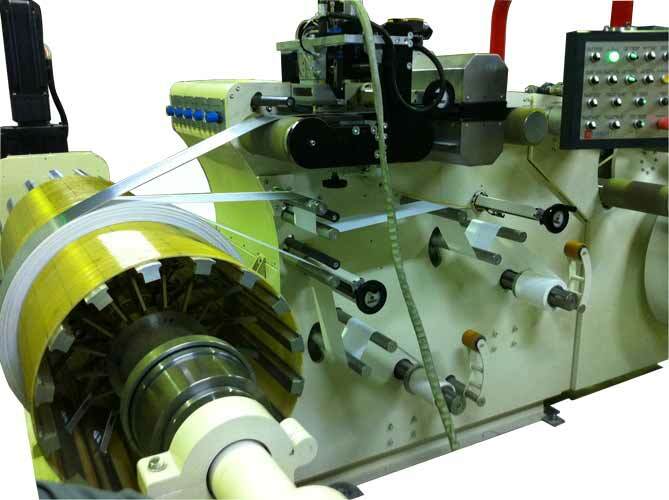 New generation Strip Foil winding machine. 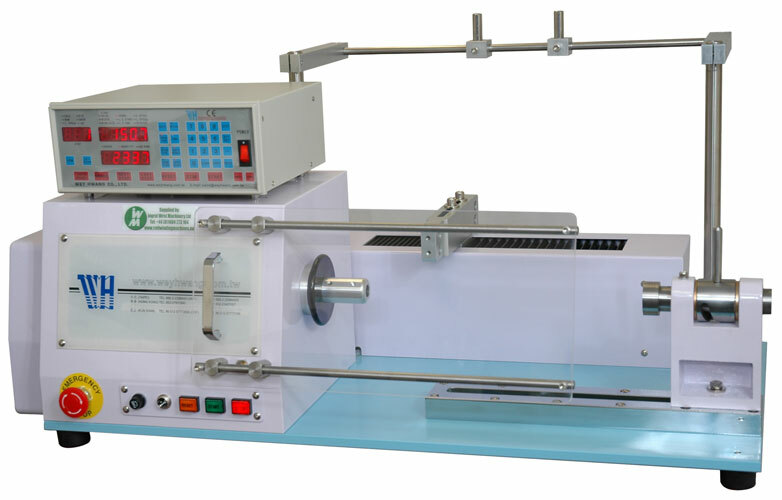 A Powerful but compact 180mm wide foil winding machine, .3 independent traverse system with edge detectors & closed loop feedback provide perfect foil and paper alignment. 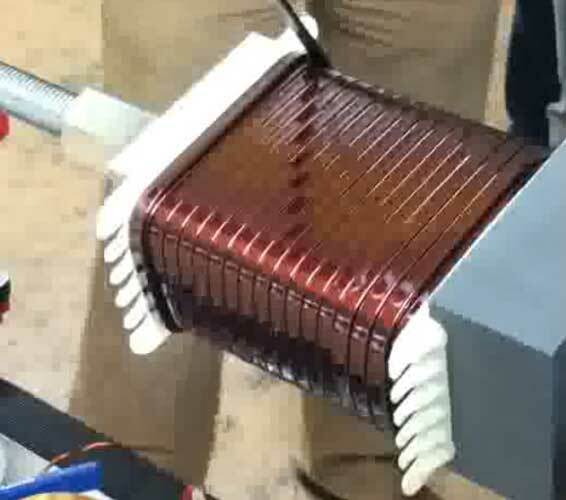 Servo driven payoff and systems work in conjunction with the main winding head to give very precise programmable controlled torque / tension in the foil / paper, several "pancake style" coils can be wound side by side, ideal for cast resin transformer applications, also know and dry type transformers, providing industry leading coil quality and transformer characteristics. 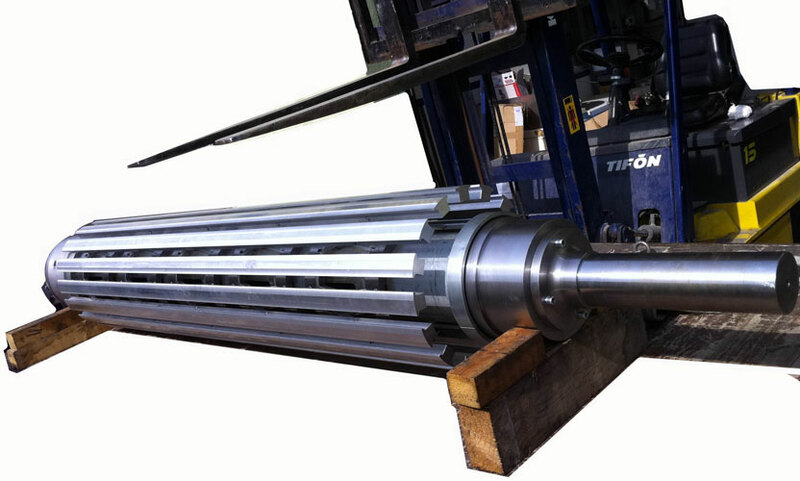 Wire barrel feeder - Responding to customer demands IWM recently added a new product to our range, a wire barrel feeder fitting most standard wire supplier de-coiler drums @ 100mm diameter opening. A New model to the winding machine series. 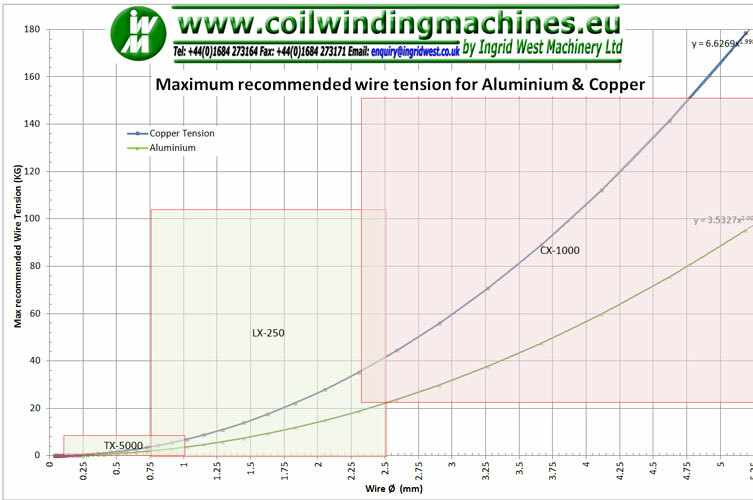 IWM are pleased to annoyance the result of a 6 month research, development and design project for flat wire edge wound coils. 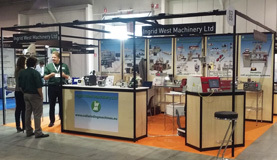 After extensive trials and research, we have developed a machine from the ground up, specifically designed for winding flat wire on it's thin edge. This machine pushed the boundaries of what is achievable in relation to the aspect ratio of wire height Vs wire width & wire height Vs coil ID, whilst reducing the trapezoidal effect to a minimum ! 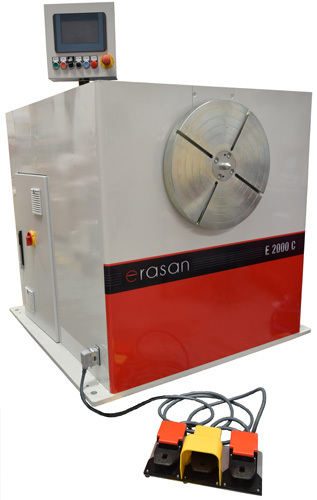 New model to the Erasan winding machine series. 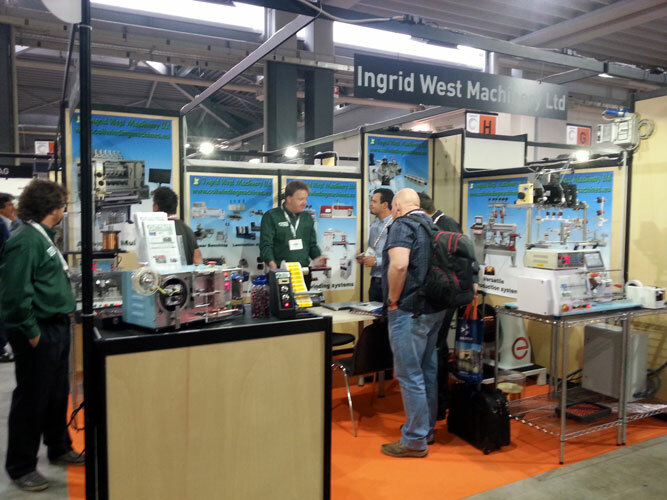 for tractability, remote control and process monitoring. 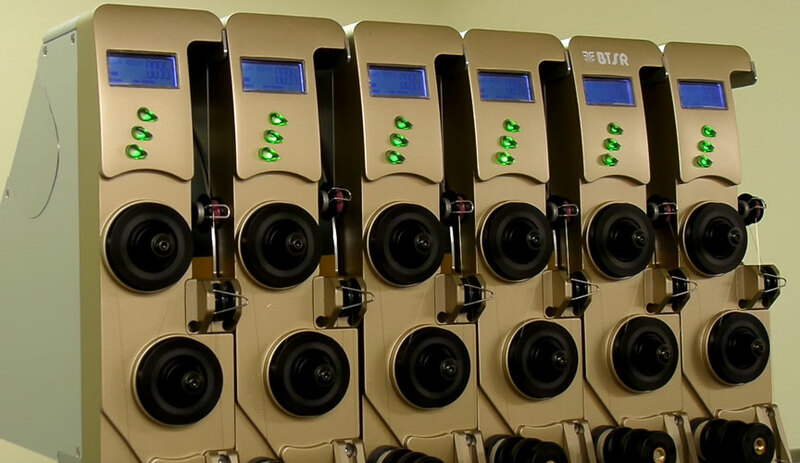 The new hardware platform reads variables and parameters in “real time” and makes them available online. Operators, managers, quality controllers and engineers can view the “live” information via the Internet from anywhere in the world using any “smart” device - for example, a laptop, tablet computer or even a Smart phone. 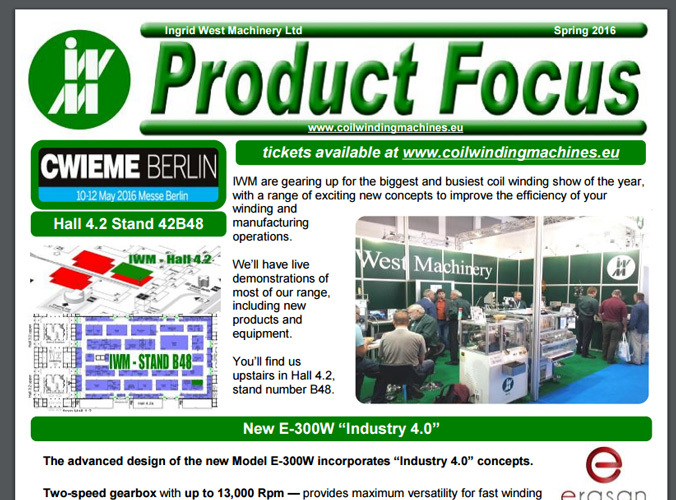 IWM Company newsletter - Spring 2016. 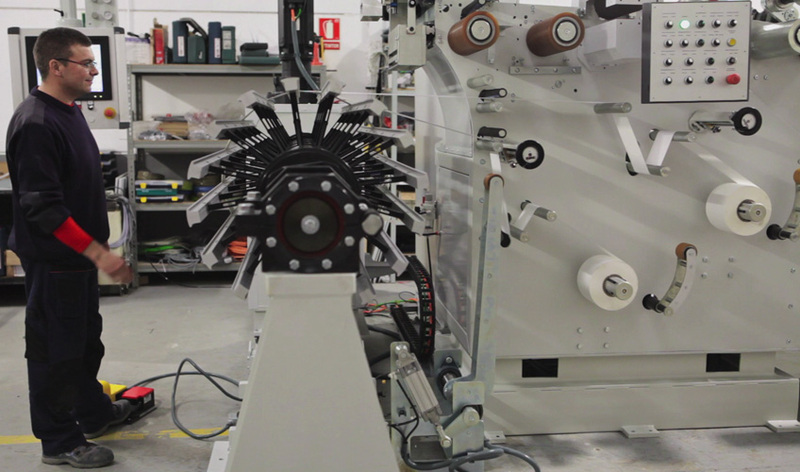 IWM recently developed a customised solution for packaging of 3D filament cable. IWM are proud to announce our list of participating exhibitions in 2016. Upcoming shows - come and see us. We've made a short video demonstrating 1,2,3 & 4 turns of tape. 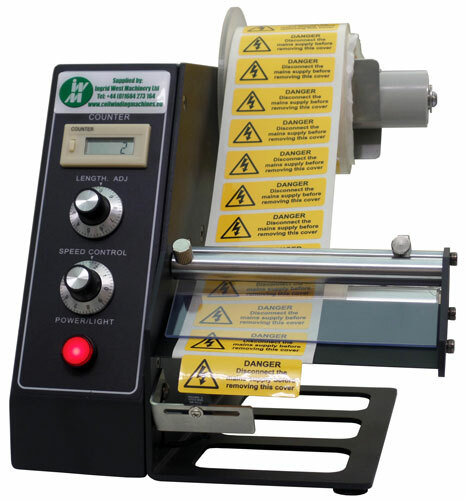 New range of Small, compact and low cost digital display tension meters. 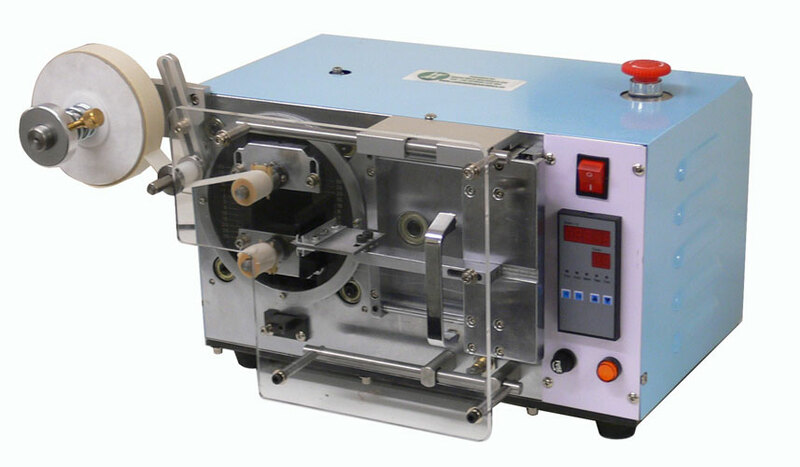 New model to the Foil winding machine series. 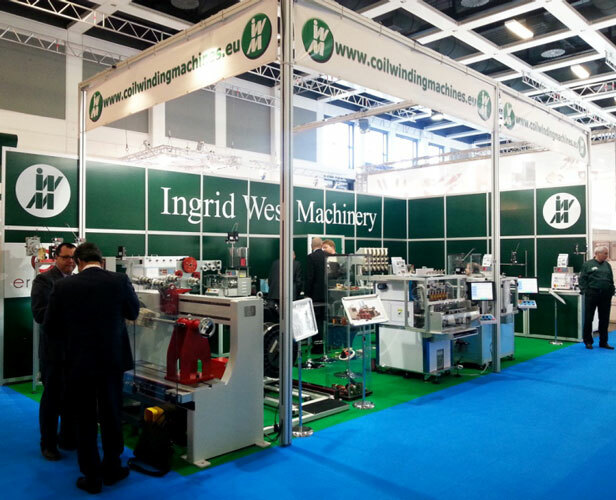 A Powerful but compact 300mm wide foil winding machine, .3 independent traverse system with edge detectors & closed loop feedback provide perfect foil and paper alignment. 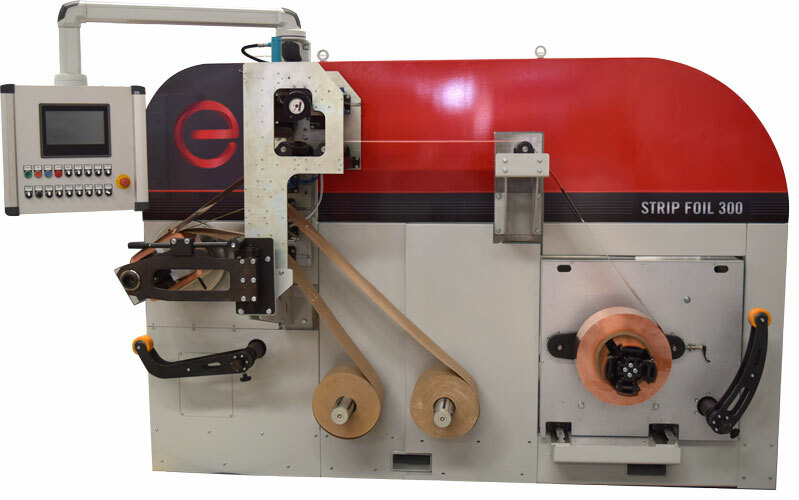 Servo driven payoff and systems work in conjunction with the main winding head to give very precise programmable controlled torque / tension in the foil / paper, leading to industry leading coil quality and transformer characteristics. New data sheets for small parts. 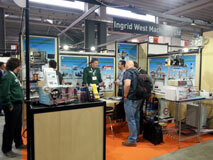 To increase our support for all those small parts that can be hard to find, we now keep a wide range in stock. 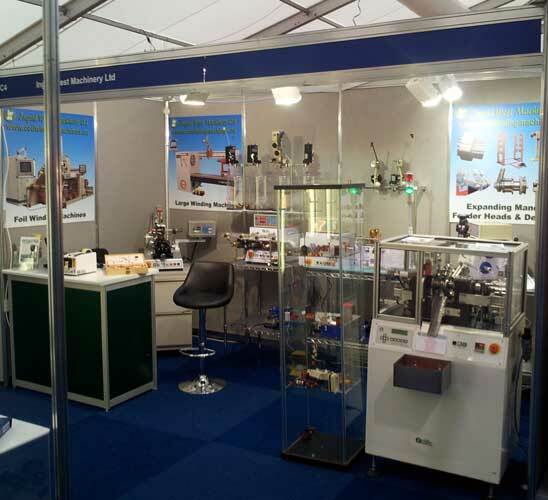 New product launch, to increase the range of mechanical tensioners for even larger wire. After many years working together, we've made it official! 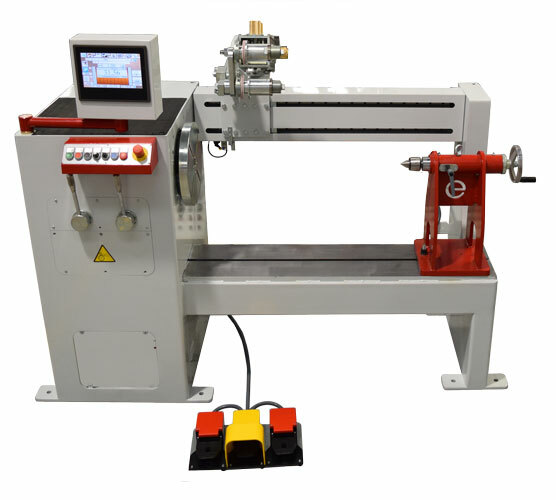 New video released for the 300 long bed machine. 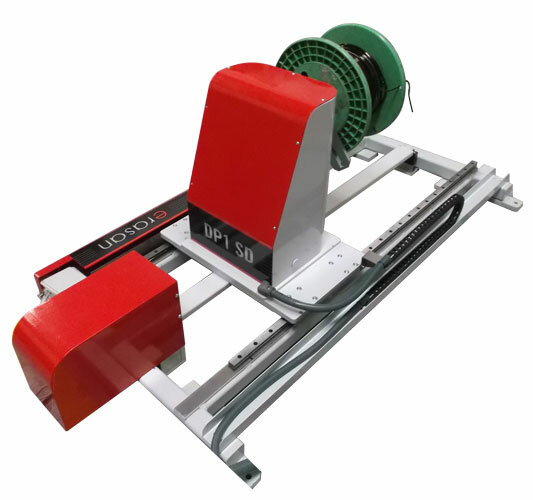 Allows for digital program setting of tension for large round wires - can work as standalone or even mounted on to machine traverse. 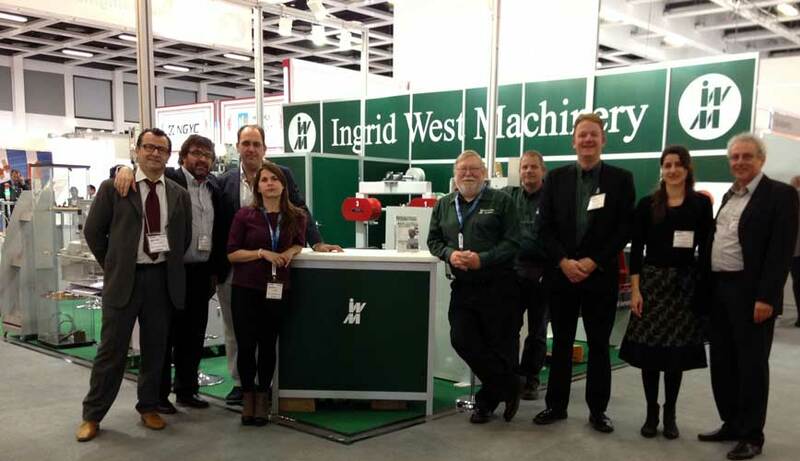 CWIEME 2015- Berlin show report - What another resounding success! 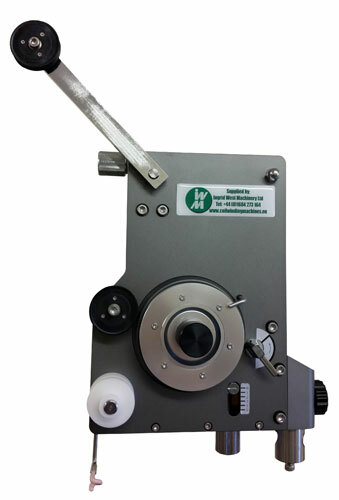 New Range Heavy duty spool tensioners -using start of the art Servo driven technology in "Torque following" mode. 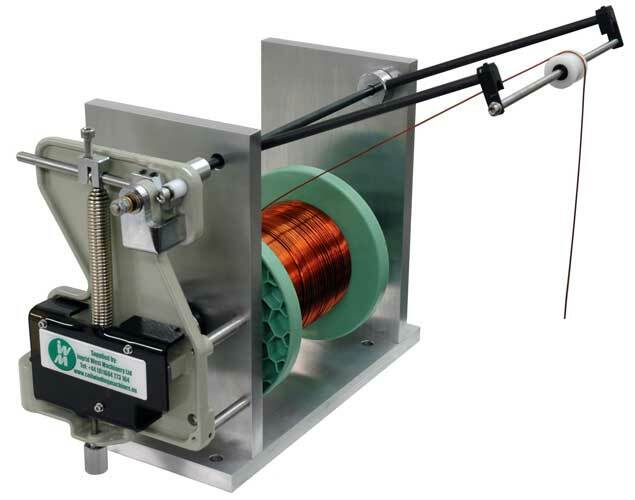 Extensive research into wire tensioning of thicker wires has lead us to introduce two new tensioner meters, LX & CX series, offer tension readings at higher loads. Exhibition line up for 2015, IWM are pleased to announce our exhibition schedule for 2015 - Come and see as us any one of the eights shows we will be at. 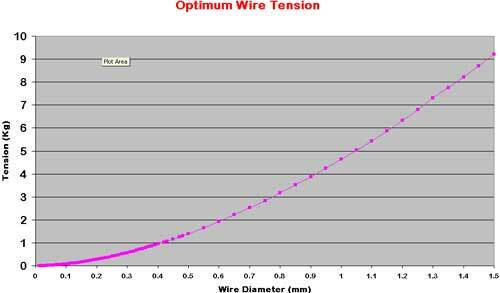 Drawings, technical documents and specifications often describe the winding speed, but not the actual wire speed, optimising the wire speed can often bring you outside the specification of regulated tension and upgrading the tensioner to one that works is necessary to run at these high speeds. Our fast and convenient calculator will make the conversion for you. 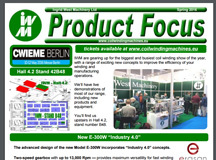 CWIEME - Berlin show report - What another resounding success! 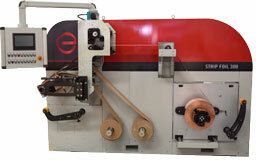 Demonstration of Continuous Tape Winding Machine custom built solution. 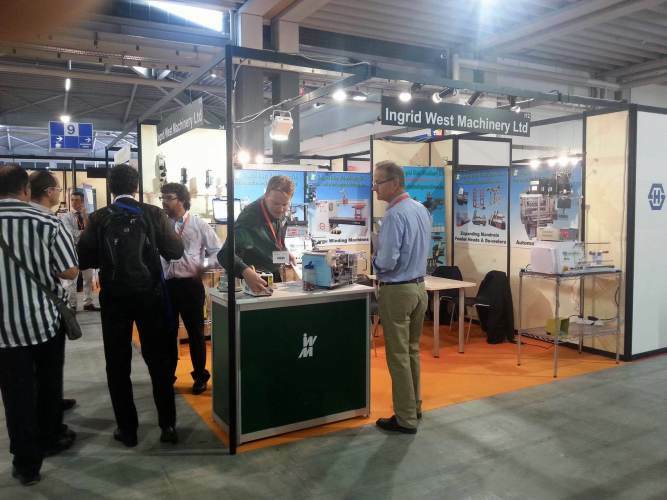 See the latest technologies from 1,100 international exhibitors in the power, lighting, new and renewable, and nuclear sectors. 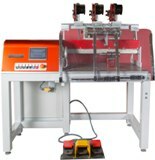 A new video demonstration of a chip wound inductor machine, fully automated process; loading, winding soldering / welding and unload. 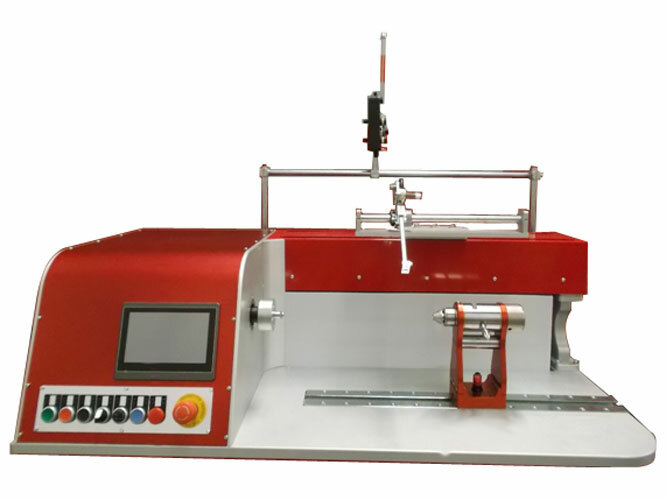 A new video demonstration of a 1200 servotech machine model, featuring great power and automatic gearbox. simplifying the operators job even further. 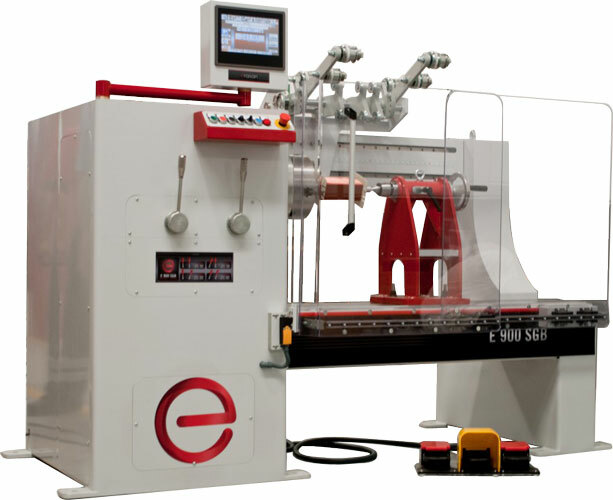 A new video demonstration of a custom built machine, compact like the e-900 model yet the power / torque of the e-1200 model. 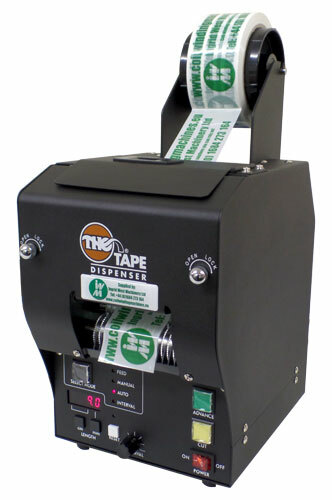 A new video demonstration of the label dispenser, saving operation fatigue, improving efficiency, reducing waste and improving cycle time. 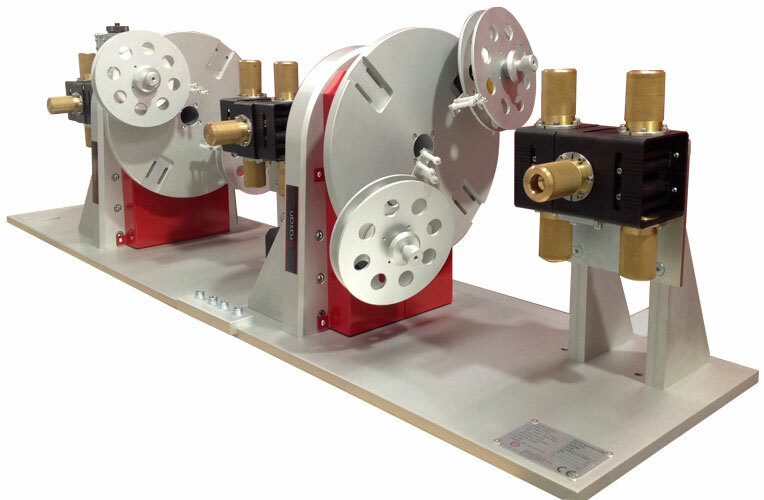 A new model developed e400, half way in size between the e300 and e900, this customer chose simple fixed ration gearing, to keep costs to a minimum..
IWM have recently been designing a range of custom wire tensioner devices to suit "out of the ordinary" applications. 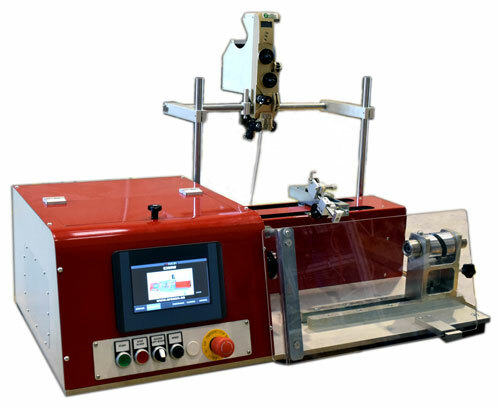 Dual Servo driven wire tensioners A REVOLUTION in wire tension technology! 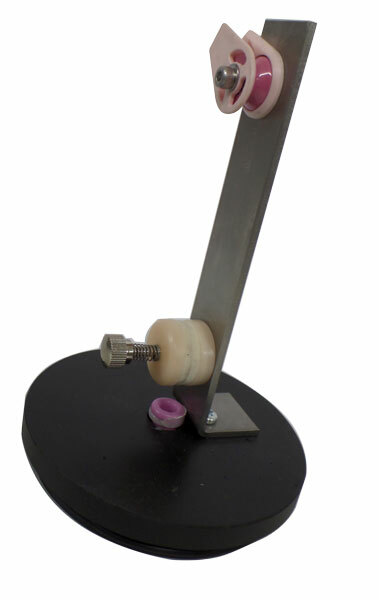 We&apos;ve put this device to the test, with one of the most difficult situations we could come up with. 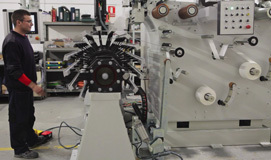 Layer winding on the versatile single spindle benchtop machine. 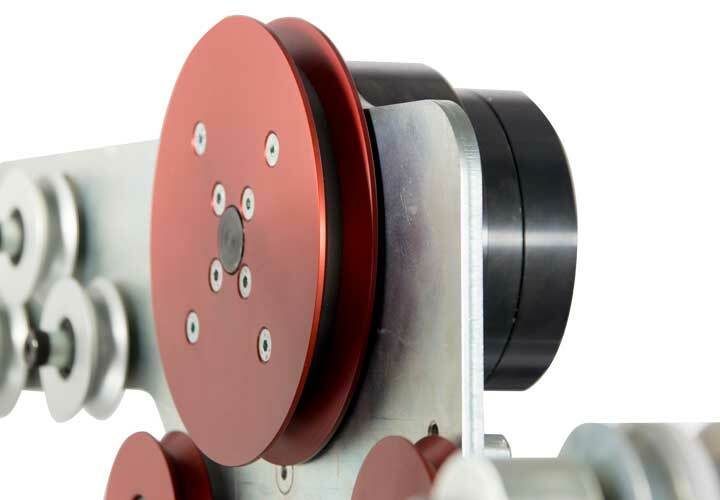 High precision mechanical tensioner, for copper winding wires in the range from 0.04mm to 0.7mm, ideally suited to winding at high wire speeds up to 25 M/sec. 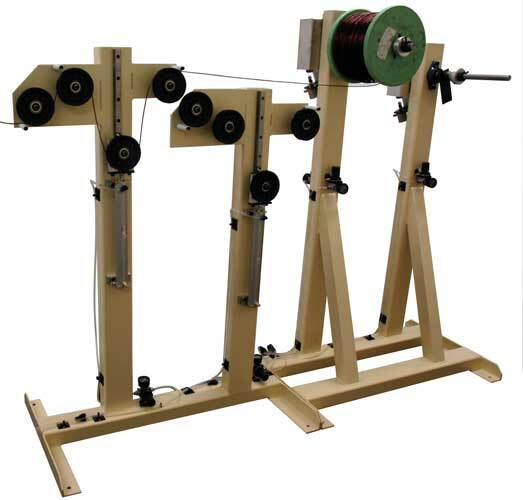 Twin Spool Tensioner / Accumulator, for copper winding wires in the range from 0.8mm to 3mm, ideally suited to Large Litz Wires. 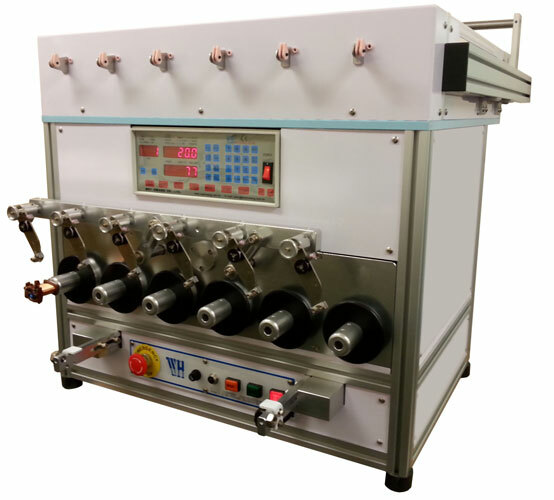 Primarily used for winding of Cast Resin / Air Cooled transformers, They can be equipped with cold compression welding devices it TIG weld station as required, automatic insulation paper feeders and tape feeders. 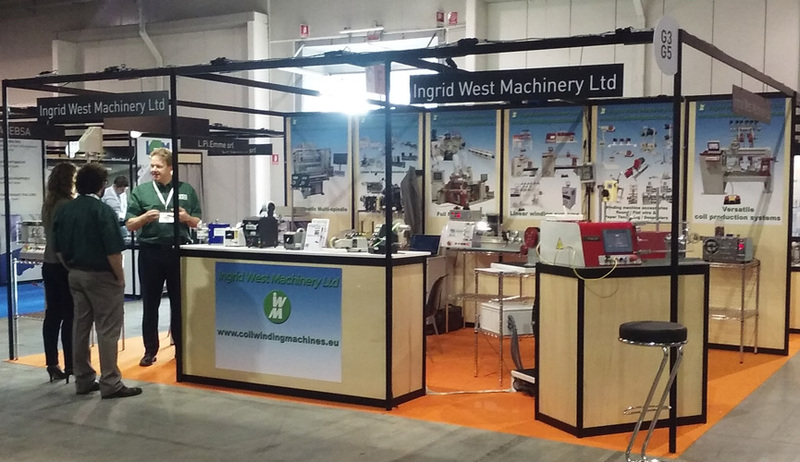 There are various configurations possible, with coil widths up to 2.3M with a winding area of 1.8M. 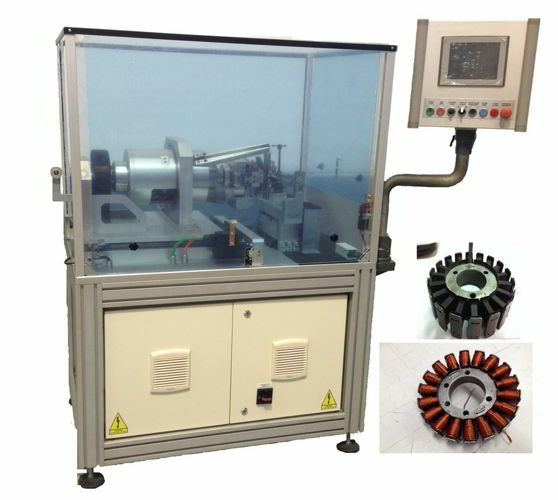 This allows winding of a wide range of transformer sizes and number of strips as required. 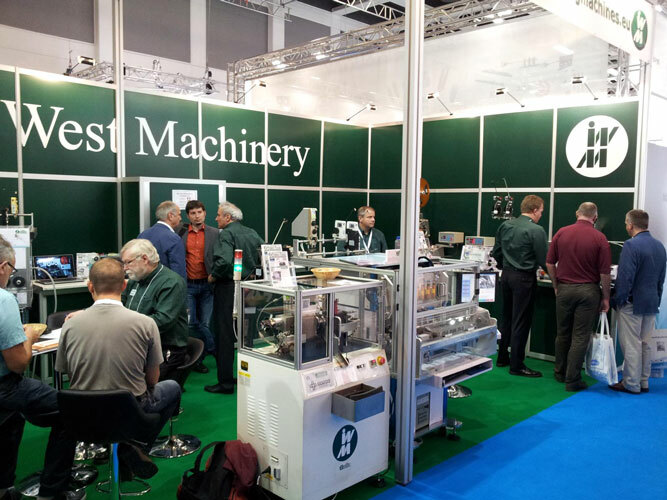 The "state of the art" CNC, precision servomotor drives, and bespoke software provide colour touch screen control and continuous monitoring of all of the process parameters. The Erasan range of expanding mandrels. 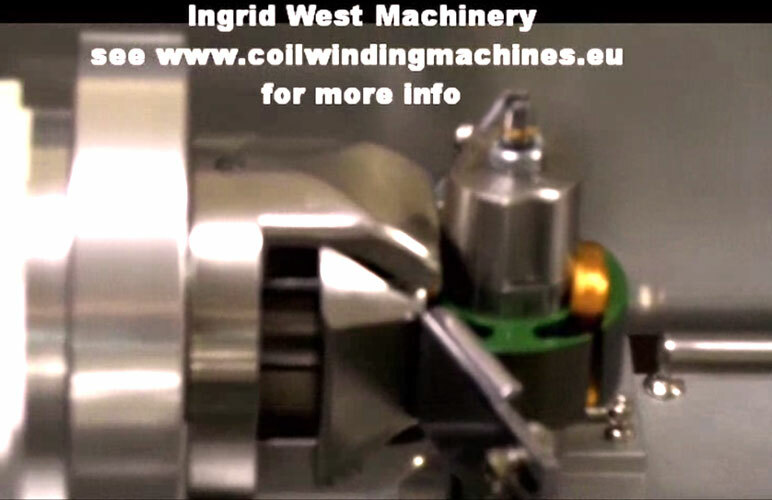 Winding motor hasple coil chain for hand insertion on the versatile single spindle benchtop machine.